Mollichaff Calmer Complete is a highly palatable, complete fibre feed suitable for horses and ponies prone to nervousness or excitability. Mollichaff Calmer Complete contains a balanced blend of fibre pellets, oat straw, dried grass, herbs, soya oil, vitamins, minerals, and trace elements. The herbs are a carefully formulated combination of chamomile, lemon balm and mint. Mollichaff Calmer Complete supplies elevated levels of magnesium as well as vitamins B1 and B12 which are widely thought to help decrease anxiety by exerting a calming influence on horses, along with vitamin E. It is low in sugar and starch, providing limited controlled energy from high quality, digestible fibre and oil-based ingredients, making it an excellent feed for horses and ponies that are easily excited. 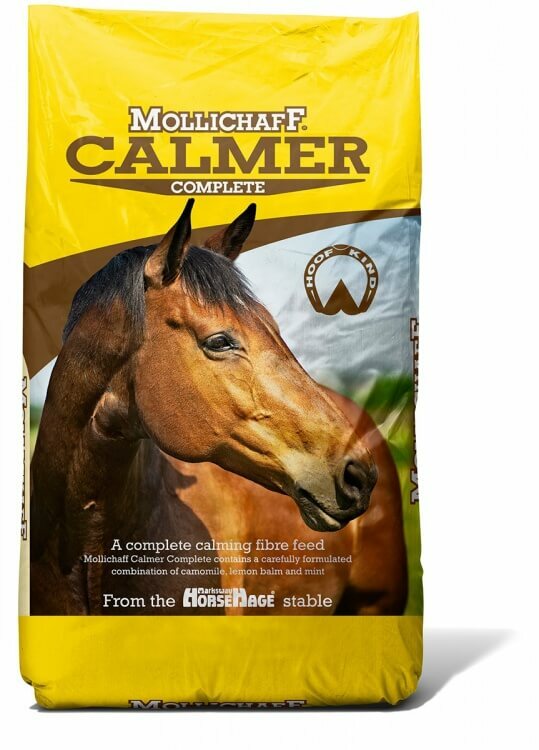 Mollichaff Calmer Complete is available in 15kg bags. Intended as a guide only. Good quality forage should also be offered to complete the diet. Remember that every horse is an individual and should be treated accordingly. The average weight of a level Stubbs scoop (volume 2.5 litres, bowl diameter 23cm, depth 10cm) of Mollichaff Calmer Complete is 0.45kg. Always feed at least 1.5% of bodyweight in total food per day (including forage), even to overweight horses and ponies. Always weigh feedstuffs, particularly when feeding overweight, excitable horses and ponies, or those prone to laminitis. Feed dry or damp according to preference. 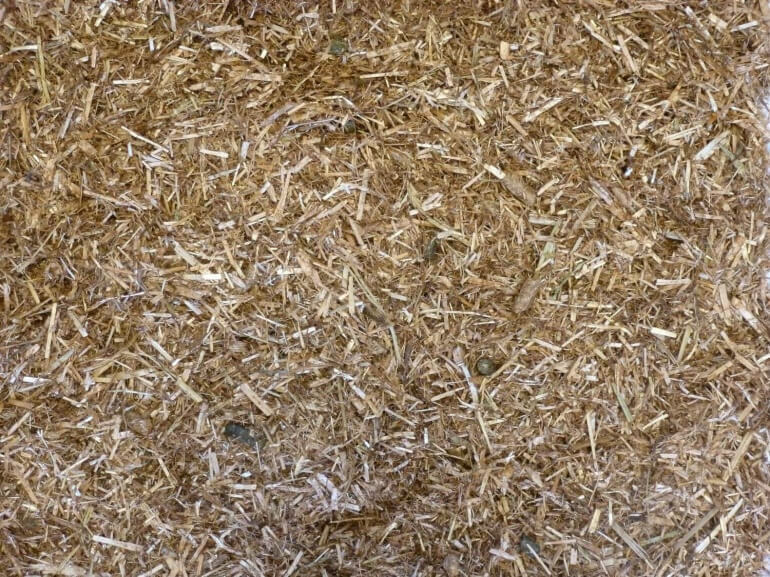 As with all new feedstuffs, introduce gradually and increase quantities as required.